The tasting room at Analemma Wines is a showcase of sustainable design, with a highly efficient geothermal heating/cooling system, reclaimed barn wood and countertops milled from a fallen ponderosa pine. 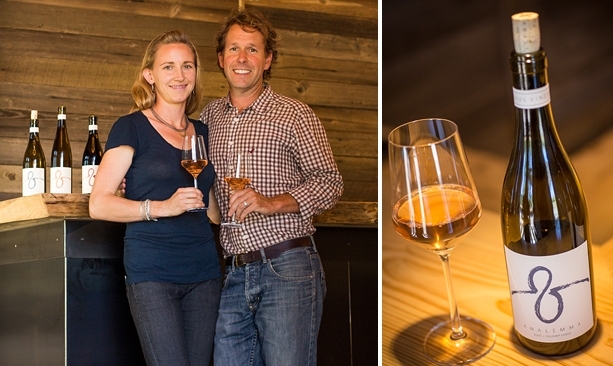 Analemma Wines owners Kris Fade and Steven Thompson earned their winemaking stripes and biodynamic farming skills in Walla Walla, Washington, and then in the Marlborough region of New Zealand. Sunshine Mill Winery, the enchanting tasting room for Quenett Winery, is housed in a former flour mill. 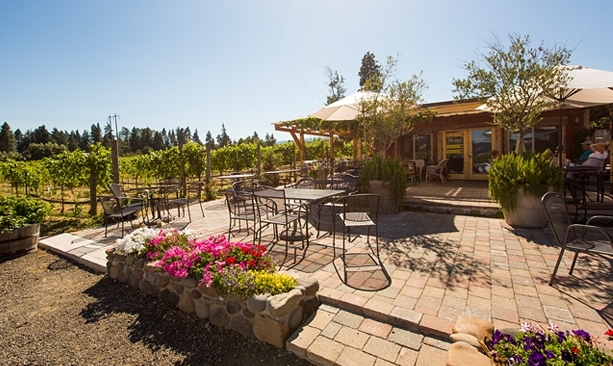 The sunny patio at Marchesi Vineyards is a popular spot with locals and visitors alike. 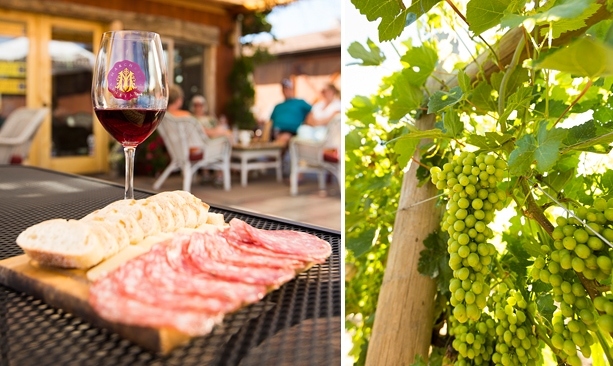 Marchesi Vineyards often serves up antipasti and other treats along with sangiovese, primitivo and other Italian varietals. In the rustic tasting room of Garnier Vineyards, rough-sawed beams frame a view that could pass for a painting: Rows of grapevines and cherry trees crosshatch the hillside with tidy blocks of green rolling off toward the wide waters and wrinkled cliffs of the Columbia River Gorge. That seems to be the sweet secret of the Columbia Gorge American Viticulture Area (AVA). Stretching east from Hood River to The Dalles, the Gorge has quietly been crafting a wine industry in the shadow of the nation’s most esteemed AVAs. Now it’s stepping into the spotlight. 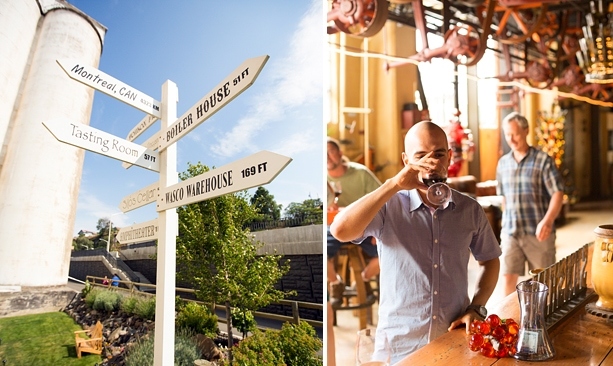 Already famous for its waterfalls and windsurfing, the Gorge has added another “w” to its world-class repertoire. The Columbia Gorge Winegrowers Association advertises “a world of wine in 40 miles,” and it’s a fitting slogan. The unique geography of the Gorge creates a surprising array of microclimates and soils in a relatively compact corridor. Grapes like pinot noir and chardonnay thrive in the cool hills of the Hood River Valley at the west end; tempranillo and syrah are right at home among the sage and ponderosa pine in the drier, sunnier east. Tasting wine from west to east in the Gorge is sort of like traveling from Northern France to Southern Italy or Spain — and, I might suggest, with better views. 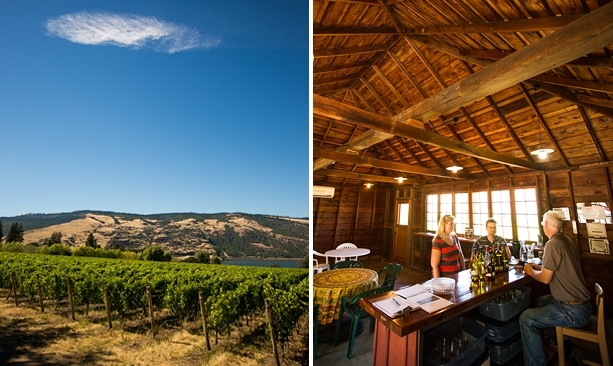 On Highway 30, just east of Mosier, Garnier Vineyards straddles the Gorge’s diversity of climates. About 50 acres of chardonnay, merlot, syrah and a half-dozen other varietals now tuck among the more than 300 acres of orchards on the century-old Mayerdale estate. Hidden down a gravel lane, Garnier feels like a local’s secret; at least half the people who swing open the door are here to buy bottles. These wines come with a good pedigree — some of the biggest wine names in the Willamette Valley buy Garnier grapes and make some of their wines. Plans are afoot for a bigger production facility and tasting room. Construction is just wrapping up at nearby Analemma Wines, where a gorgeous new tasting room awaits visitors on State Road in Mosier. Steven Thompson and Kris Fade earned their winemaking stripes and biodynamic farming skills in Walla Walla, Washington, and then in the Marlborough region of New Zealand. The young couple found the Columbia Gorge to be the ideal location for their 52-acre winery, where they could grow a variety of grapes and “be part of a good community of open-minded people,” Fade says. The new tasting room is a showcase of sustainable design, with a highly efficient geothermal heating/cooling system, reclaimed barn wood and countertops milled from a fallen ponderosa pine. The Gorge lifestyle proved a powerful draw, too. “We love the mix of recreation and agriculture here,” says Fade, an avid cyclist. 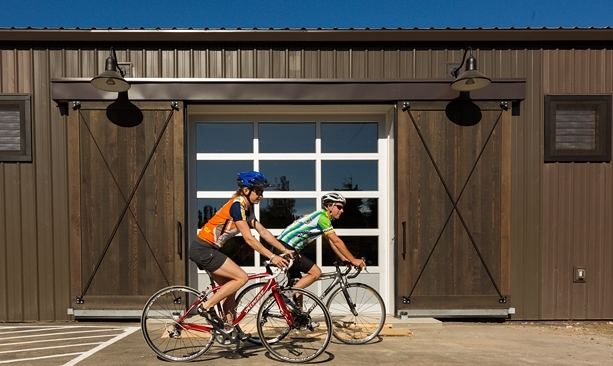 In fact, a popular road-biking route passes right by the tasting room, and Fade looks forward to welcoming cyclists with water under the shady arbor. Personally, after sampling a beautifully balanced dry rosé of pinot noir, I intend to make Analemma my own end-of-ride treat. Dry Hollow Vineyards truly feels agrarian, hidden deep among the folded hills south of The Dalles. We wind past muttering ducks and a sweet farmhouse skirted with roses to reach the tasting room, perched on a sun-drenched, south-facing ridge. Cathedral ceilings and ample windows make the most of the expansive view. Our host, Mel Omeg, is just the person to tell us about the area. His grandparents built that farmhouse we just passed, and now his son is the fourth generation to farm the surrounding acreage of sweet cherries. With so many farm communities struggling, it’s pleasing to see the thriving interplay of crops old and new here. I alternate between sipping a smooth estate merlot and reaching into a bowl of gleaming golden Rainier cherries that look almost too perfect to be real. Downtown, a towering silo guides us to Sunshine Mill Winery, the enchanting tasting room for Quenett Winery. Wheat was milled here for more than 130 years and used to make, among other things, Cheez-Its. Now visitors sip wine — I particularly liked the Redd Red blend — surrounded by rehabbed flour chutes, conveyor belts and other industrial whatnots. This is a place to wander with wine glass in hand, enjoying the happy jumble of patios, bocce court and second bar in the old boiler house. Several tasting rooms are scattered across the Hood River Valley, where vineyards now thrive among one of the nation’s leading pear- and apple-producing regions. 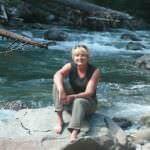 That makes autumn an idyllic time to explore along Highway 35 and the side roads south of Hood River. Along with a bushel of just-picked pears, U-pick apples or pumpkins fat from the field, now you can go home with a bumper crop of wine, too. Marchesi Vineyards is a favorite stop for its old-world ambience and the effervescent charm of its Italian owner, Franco Marchesi. Locals frequent its popular patio, where Marchesi often serves up antipasti, roasted chestnuts and other treats along with his sangiovese, primitivo and other Italian varietals. Mt. Hood Winery celebrates its Northwest roots with a lovely stone-and-wood tasting lodge, complete with rock fireplace and soaring wall of windows aimed at Mount Hood. I sip a crisp pinot gris on the patio surrounded by those same pinot gris vines, all part of a remarkable sixth-generation family farm. And gazing up at the glacier-caked peak of Mount Hood, I rest my case about the views. Editor’s note: Extend your stay. Book a room at the quaint Celilo Inn in The Dalles and give yourself plenty of time to explore the world of wine in the Gorge.